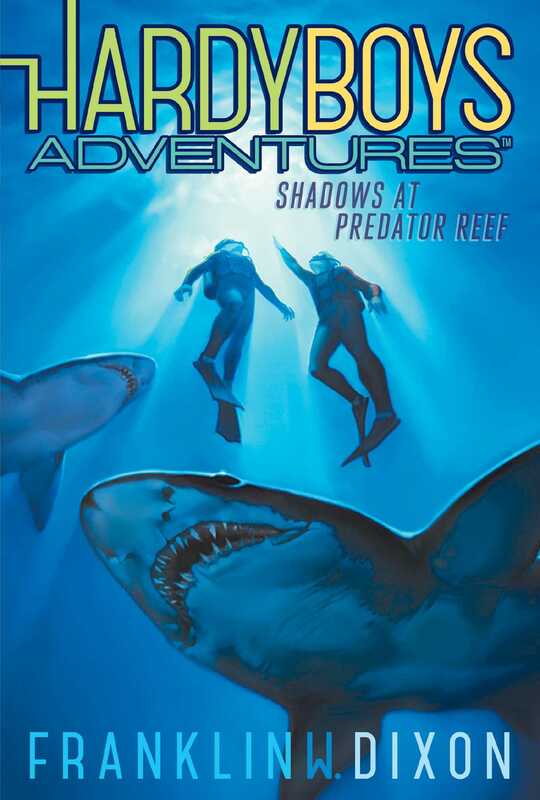 Frank and Joe might be in over their heads when they discover an aquatic smuggling operation in this chilling Hardy Boys adventure—a fresh approach to a classic series. When Frank wins an internship at the Bayport Aquarium, he’s stoked at the chance to not only earn school credit, but to also geek out about one of his favorite subjects—aquatic life. And his brother Joe is equally jazzed about taking scuba diving lessons from the super-cute instructor, Aly. But both boys’ excitement comes screeching to a halt when the aquarium’s most valuable asset goes missing: a rare two-hundred-pound sea turtle named Captain Hook. Frank and Joe stumble upon a network of underground tunnels hidden beneath Bayport…and realize the aquarium is a secret entry point. Could the aquarium be the newest target of a sinister aquatic smuggling ring? And can the boys snag the gang’s mastermind before they end up in treacherous waters?